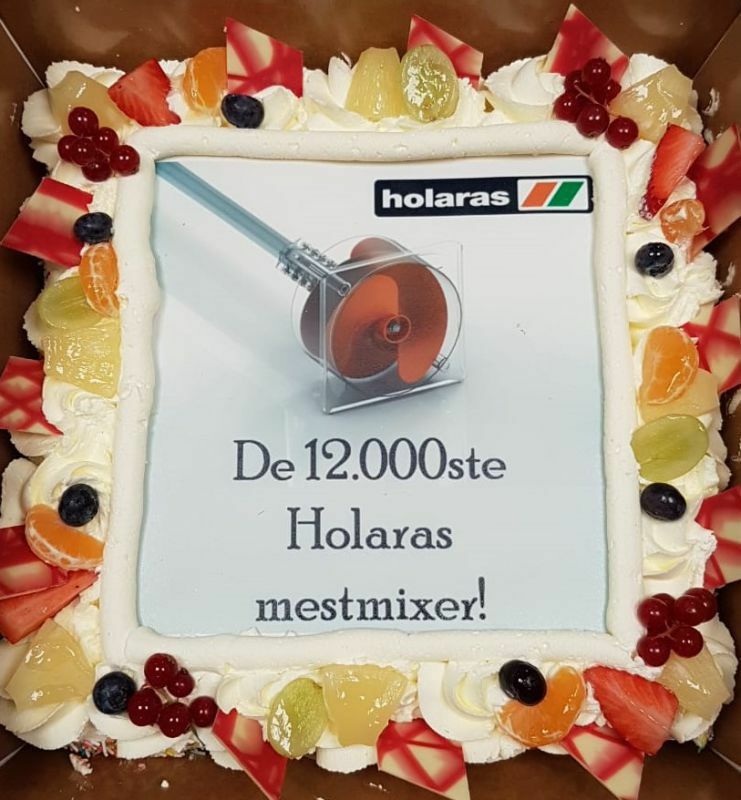 Holaras delivers 12.000th slurry mixer! 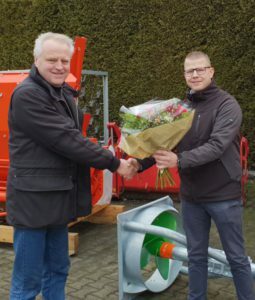 Just now the 12.000th slurry mixer has been delivered at Lugtenberg Mechanisatie. While enjoying a piece of cake with coffee, this milestone was celebrated. We wish the end-user good luck with Holaras mixer number 12.000! 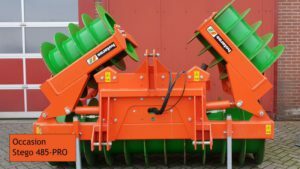 New to this slurry mixer is its dynamically shaped jack screw which is mounted in a very compact tunnel house and guarantees an optimum thrust and slurry displacement/ flow due to its forced circulation system. The thick fraction is quickly shredded and mixed in the slalom course with the thin fraction. Due to the difference in level, this slurry can no longer flow back. 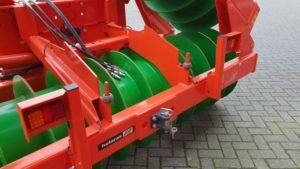 Like all other Holaras mixers, the auger mixers also have the durable dredging bearings, which have been known since 1960, and which are mounted on the shaft in the tube, depending on the length, at the bottom of the auger or at several points on the shaft. 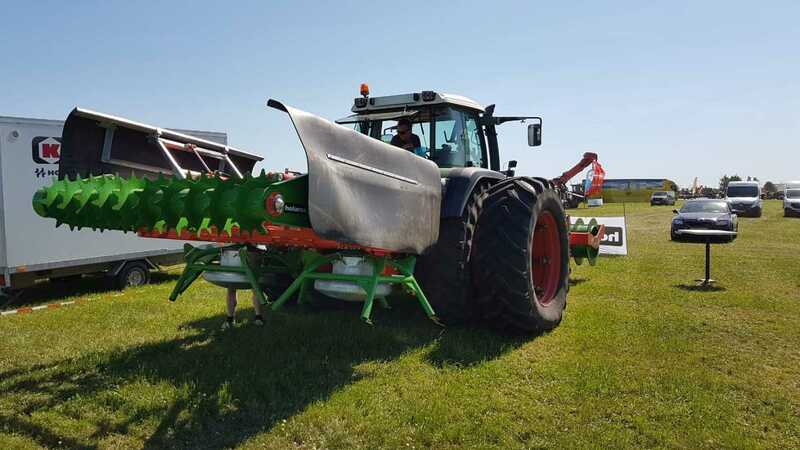 the auger has a diameter of 60 cm and is 40 cm long which guarantees an optimal performance and a long life with a stable construction. 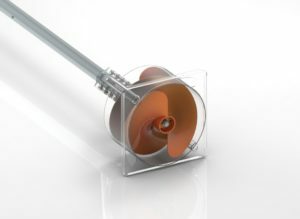 As standard, these mixers are supplied in tube lengths of 4, 5 or 6 meters. 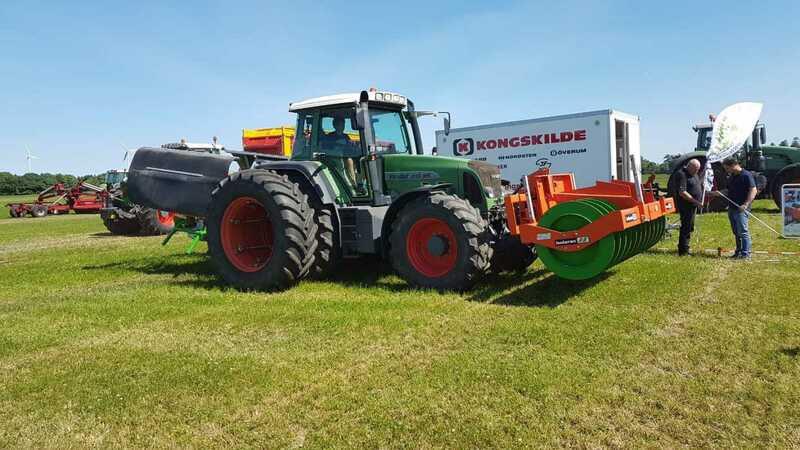 Different lengths, as with the regular mixers, are available on request. Feel free to contact Hoopman Machines for questions or an offer request. We will apply new rates on 1 February. Feel free to send an e-mail for a digital / printed version! If you are interested or have any questions, please contact your dealer / us! Outdated Kroko 250-XL powergrab bucket. 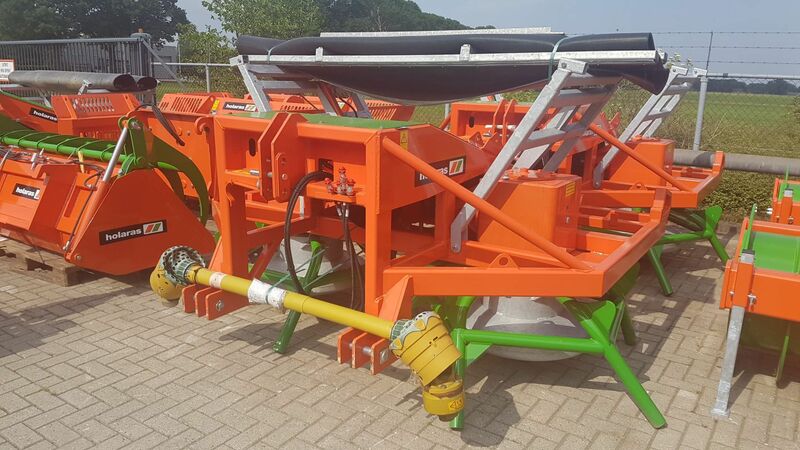 Te koop aangeboden overjarige bietensnij-/reinigingstrommel type Hippo 2000. 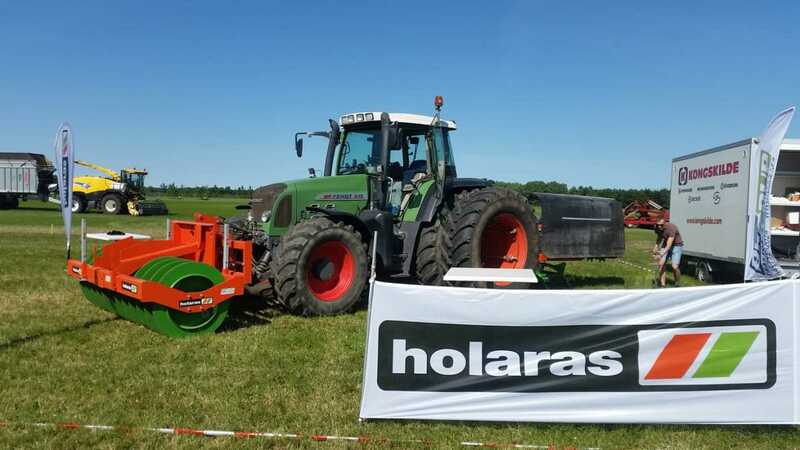 Today Holaras is present at the second RuwvoerRonde Gras in Mastenbroek. 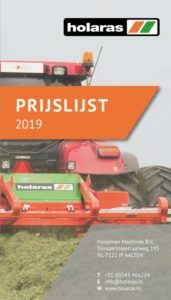 Holaras is 6 juni aanwezig tijdens Graesland 2018 in Karup, Denemarken. Hier demonstreren wij met een kuilverdeler en een verdichtingswals. 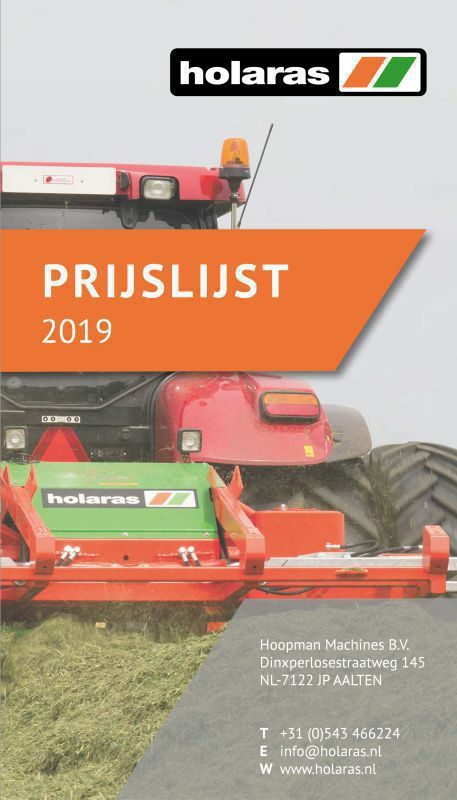 Since April 2018 we have a new price list. This pricelist is sent as a PDF by e-mail.